Whether you are planning to have an intimate wedding or an exorbitant one, Wilson Gymkhana will surely match your unique choice, budget, and requirements. With a capacity of accommodating up to 2000 in seating and 3000 in floating, the venue has a cosy and comfortable interior for the guests. It also offers an in-house team of caterers that puts all the efforts to delight the guests with mouth watering multi-cuisine dishes. The sprawling lawns of Wilson Gymkhana, Marine Drive, Mumbai is a gorgeous location for a wedding. The beautiful location promises a stunning view and the flexible arrangements are great for grand weddings. You can coordinate with the in-house decorators for a wedding decor that you may have in mind. Their caterers can whip up a Venue does not allow outside caterers. Venue does not allow outside decorators. Venue allows outside DJ. No royalty applicable. Venue does not allow alcohol. Venue offers flexible time slots between 07:00 a.m. to 12:00 a.m. Two complimentary changing rooms are provided to the bride and groom. The venue has parking capacity for 30 vehicles and provides complimentary valet services. The nearest railway station is Marine Lines Station. Landmark: Next to Police Gymkhana. Wilson Gymkhana, Marine Drive, Mumbai has a sprawling lawn which is a gorgeous location for a wedding. The beautiful location promises a stunning view and the flexible arrangements are great for grand weddings. You can coordinate with the team of decorators at Wilson College Gymkhana for a wedding decor that you may have in mind. Their caterers offer a wide range of multi-cuisine delicacies to choose from in both vegetarian and non-vegetarian food to their guests. Wilson Gymkhana, Marine Lines serves alcohol to their guests on request. It also offers valet parking service to their guests for their convenience. The venue offers complimentary changing rooms for the bride and the groom on their special day. 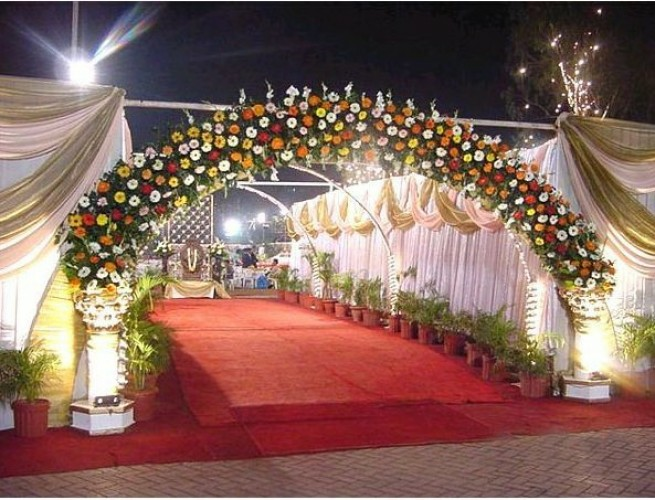 Wilson Gymkhana Turf has a lush green lawn can accommodate a huge crowd for your wedding and reception. If you are looking for an overnight wedding venue your search ends here with Wilson Gymkhana, Marine Drive, Mumbai.